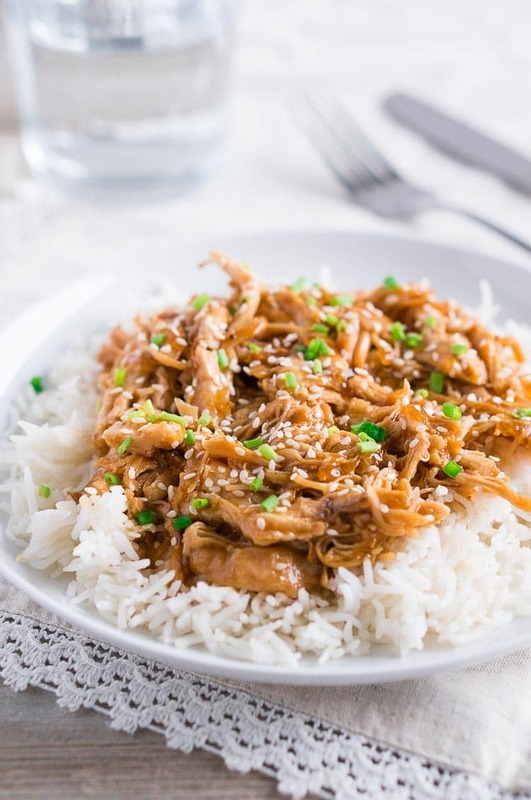 Instant Pot Honey Sesame Chicken is delicious and easy, made in a sweet and savory sauce. This juicy and tender chicken recipe will become your family favorite dinner. 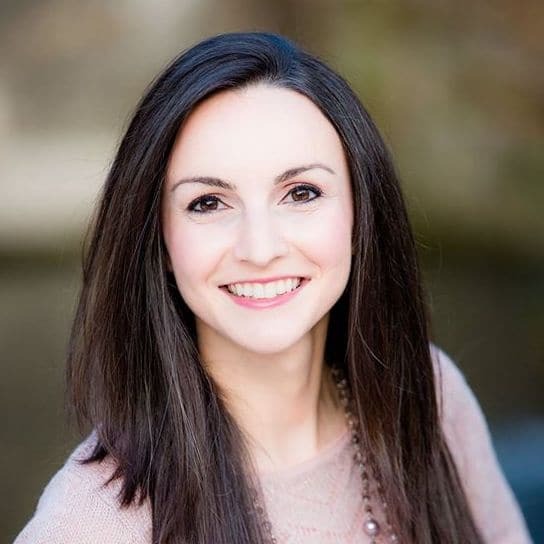 I love easy Instant Pot recipes because they save you from hefty take out bills and help you eat a delicious and nutritious meal even on the busiest days. My Instant Pot has saved me so much time, money, and tons of effort when preparing everyday dishes. 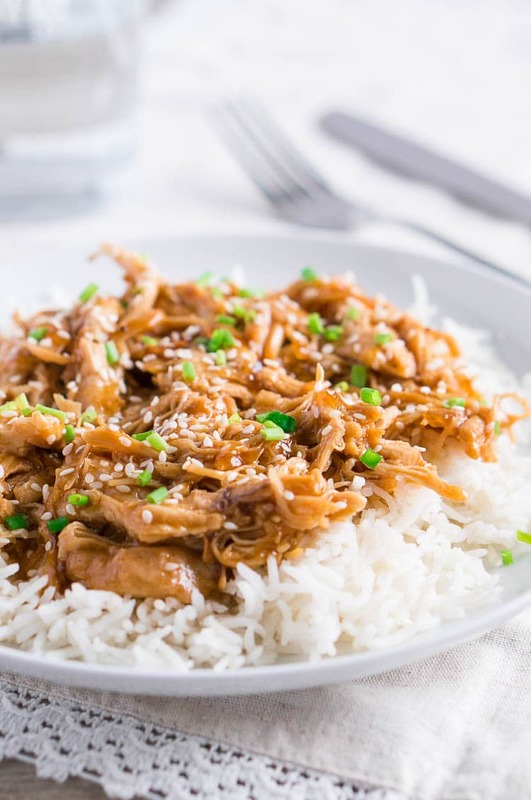 When you are short on time, you might be thinking that take out is the better dinner choice but with this Instant Pot Honey Sesame Chicken, cooking at home can be much faster. You can have this flavorful dinner on the table within 30 minutes. If you are meal prepping every weekend or batch cooking to freeze meals for later, that means dinner can be served within 15 minutes. I love that this recipe is easy and quick to make, and requires common pantry staples. Not only that but it’s also relatively healthy with a few modifications. In order to make it gluten-free, Paleo and Whole30, you can use arrowroot starch instead of cornstarch, coconut aminos instead of soy sauce, and healthier and lighter ketchup instead of the processed store-bought ketchup (here is a low carb homemade ketchup recipe). You can serve this dish with basmati rice or cauliflower rice for a low-carb option. Add colorful vegetables like steamed broccoli, carrots or sauteed bell peppers. If you are meal planning and prepping, you can make this recipe ahead of time and store it in the fridge for several days or freeze it in the freezer. If you have minimal time to meal prep on weekends, you can place all the ingredients in a ziplock bag and refrigerate it until it’s time to cook dinner. Just dump all of the ingredients of the ziplock bag in the Instant Pot (or Slow Cooker) and dinner can be ready in about 15 minutes. You can also meal prep 2 cups of cooked rice to go along with it. 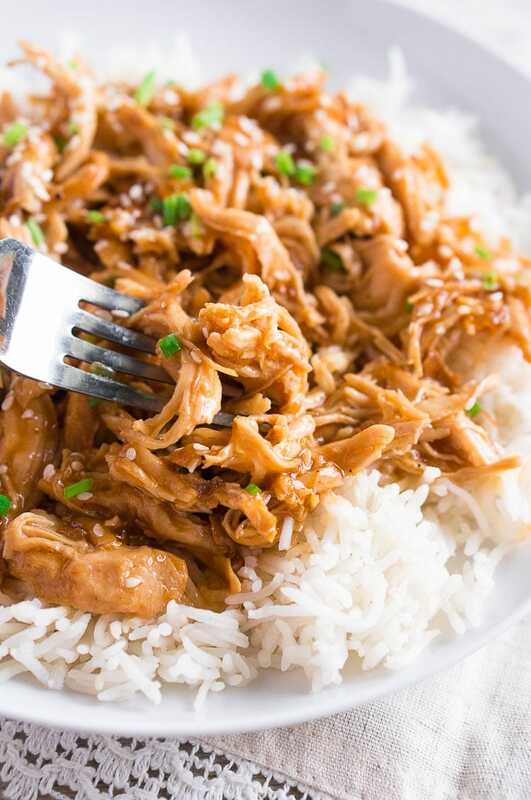 This Instant Pot Honey Sesame Chicken is a great recipe to add to your freezer stack for days when you don’t have time to cook. You can either fully cook the chicken & the sauce, and then freeze it. Or you can add the ingredients to a freezer-safe ziplock bag, and freeze it uncooked. When you are planning to reheat it or cook it the meal, make sure to place the frozen food in the fridge the night before or in the morning to allow enough time to thaw. 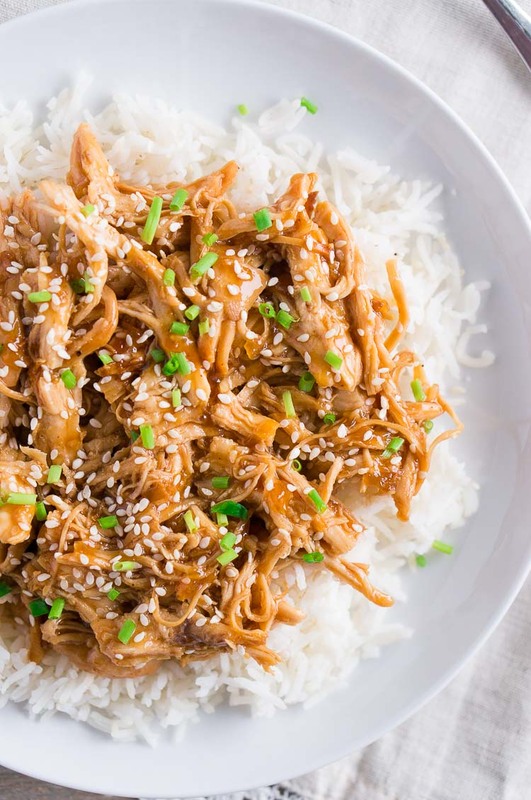 Instant Pot Honey Sesame Chicken is delicious and easy, made in a sweet and savory sauce. This juicy and tender chicken recipe will become your family favorite dinner in an instant. Season chicken breasts with salt and pepper on both sides. Preheat pressure cooking pot using the 'Saute' setting. Add olive oil, chopped onion and seasoned chicken to the preheated pot. Saute, stirring occasionally, until the onion is softened. Add minced garlic and saute for about 30 seconds. In a small bowl, mix the honey, sesame oil, soy sauce, rice vinegar, ketchup, and ground ginger. Mix well, and add to the pot. Lock the lid, seal the valve, and press the 'Manual' (or 'Pressure Cooking') button, and adjust the time to 4 minutes. When timer beeps, turn pressure cooker off and do a quick pressure release. Remove chicken from the pot, and shred it. Transfer 1/4 cup honey sesame sauce from the pot to a small bowl. Add 2 Tbsp arrowroot starch (or cornstarch) to the bowl and stir until the sauce is smooth. Return the sauce back to the pot, and saute using the 'Saute' function for a couple of minutes until the sauce thickens. Turn off the pot. Add shredded chicken back to the pot and mix well. 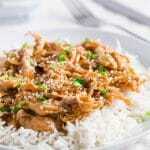 Serve honey sesame chicken over rice. Sprinkle some sesame seeds and chopped fresh green onion on top. this looks just incredible! so easy to make and it would be perfect for a weeknight or weekday meal. Great flavors! I love honey sesame chicken but never thought of making it in the instant pot! Definitely going to try this recipe, thanks so much for sharing! I love recipes I can make in my IP and this one did not disappoint. My family gobbled this up last night. Thanks so much! I don’t have an Instant Pot, but my daughter does. Her family would love this for dinner. I will be sure to pass this along to them. Maybe I will be lucky enough to get an invite. I do like a decent tasty meal that is good enough to replace a costly takeaway. And healthier too. This dish sounds so flavoursome and perfect for a good meal any day of the week. I’ve been looking for some more instant pot inspiration! We love homemade take out, thanks so much for the recipe. This’ll be on our next meal plan. I made this for dinner last night and OMG it was delicious! Thanks so much for sharing! Looks so delicious! I love sesame chicken – such a great idea for a quick dinner! Yummy, will be making this really soon. I love to get honey sesame chicken from a restaurant.